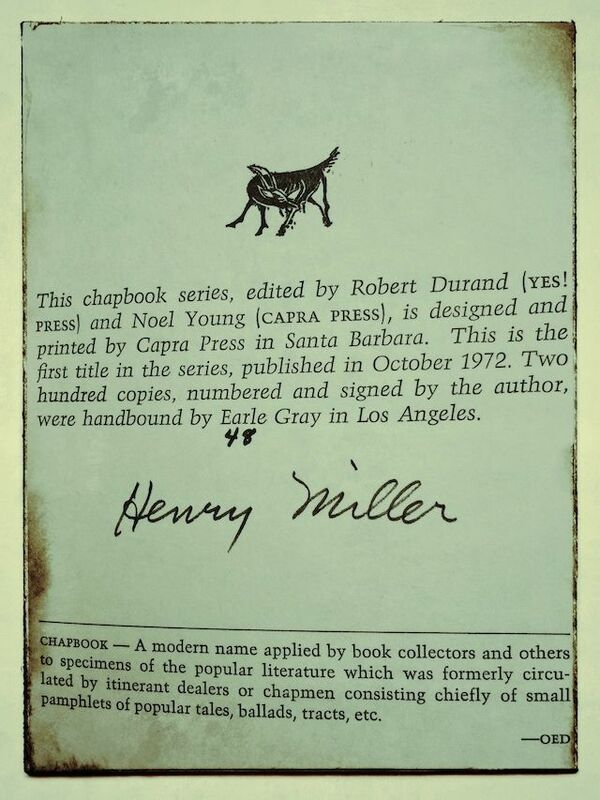 Shortly after his 80th birthday, Henry Miller wrote an essay on aging. More of a treatise on living life, it was published in 1972 in a chapbook titled On Turning Eighty. Only 200 copies of the book were ever made, with each signed and numbered by the author. In on section, on the complicated relationship between aging and friendship Miller’s brilliance is on full display. What most people fear when they think of old age is the inability to make new friends. If one ever had the faculty of making friends one never loses it however old one grows. Next to love friendship, in my opinion, is the most valuable thing life has to offer. I have never had any trouble making friends, in fact, it has sometimes been a hindrance, this facility for making friends. There is an adage which says that one may judge a man by the company he keeps. I often wonder about the truth of this. All of my life I have been friends with individuals belonging to vastly different worlds. I have had, and still have, friends who are nobodies, and I must confess they are among my best friends. I have been friends with criminals and with the despised rich. It is my friends who have kept me alive, who have given me the courage to continue, and who have also often bored me to tears. The one thing I have insisted on with all of my friends, regardless of class or station in life, is to be able to speak truthfully. If I cannot be open and frank with a friend, or he with me, I drop him. The ability to be friends with a woman, particularly the woman you love, is to me the greatest achievement. Love and friendship seldom go together. … In all of my life I have known only a few couples who were friends as well as lovers. Although the most expensive book I’ve ever purchased, On Turning Eighty, was a wonderfully fascinating read.